Microsoft’s own antivirus software made Windows 7, 8.1, RT and 10 computers, as well as Windows Server 2016 more vulnerable. The reported RCE vulnerability, according to the duo, could work against default installations with “wormable” ability – capability to replicate itself on an infected computer and then spread to other PCs automatically. According to an advisory released by Microsoft, the remotely exploitable security flaw (CVE-2017-0290) exists in Microsoft Malware Protection Engine (MMPE) – the company’s own antivirus engine that could be used to fully compromise Windows PCs without any user interaction. 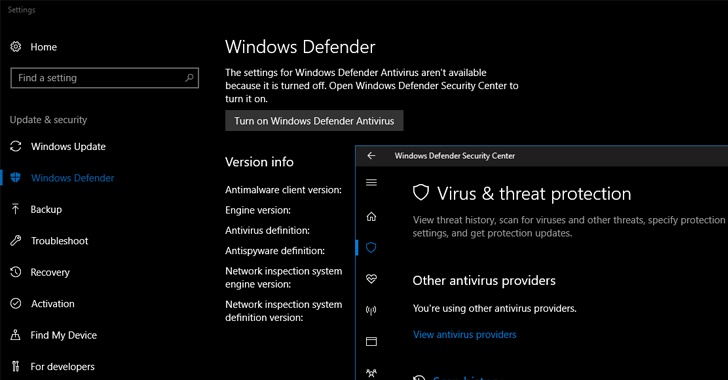 Microsoft’s Defender security software comes enabled by default on Windows 7, 8.1, RT 8.1, and Windows 10, as well as Windows Server 2016. All are at risk of full remote system compromise. “On workstations, attackers can access mpengine by sending emails to users (reading the email or opening attachments is not necessary), visiting links in a web browser, instant messaging and so on,” researchers explained. By default, Windows PCs automatically install the latest definitions and updates for the engine. So, your system will install the emergency update automatically within 1-2 days, but you can also get it installed immediately by pressing ‘Check Update’ button in your settings.